Caroline Gurney is a professional genealogist, researcher, blogger and speaker who runs an historical research service based in the ancient market town of Chipping Sodbury in South Gloucestershire. She is a member of the Association of Professional Genealogists (APG) and subscribes to their Code of Ethics. She read History at Bristol University, specialising in 15th century England. Her dissertation was a biographical study of Members of Parliament in 1450 and the ties of family and patronage which bound them. 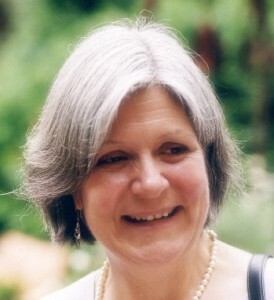 She graduated in 1975 with a First Class honours degree and a thorough grounding in historical research. In 2012 she was commissioned by HSBC, corporate sponsors of the Cutty Sark, to trace living descendants of the crew and other significant people connected to the ship. Her research eventually identified over 600 living descendants, 170 of whom were brought together at a reception on board Cutty Sark on 24 May 2012. Each descendant was presented with a booklet containing her biographies of their ancestors. Following on from this project, she is now writing a book on the men (and one woman) connected with the historic ship.